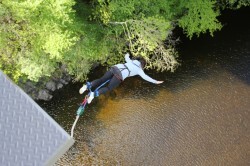 Highland Fling Bungee’s £200,000 state-of-the-art bungee pod is the only permanent bridge bungee jumping site in the UK. It was opened in May 2011 by rock band, The View, and has since welcomed over 15 000 visitors from 5 continents. A 40 metre plunge at 50 mph, Highland Fling Bungee offers an experience like no other in Scotland or Britain. 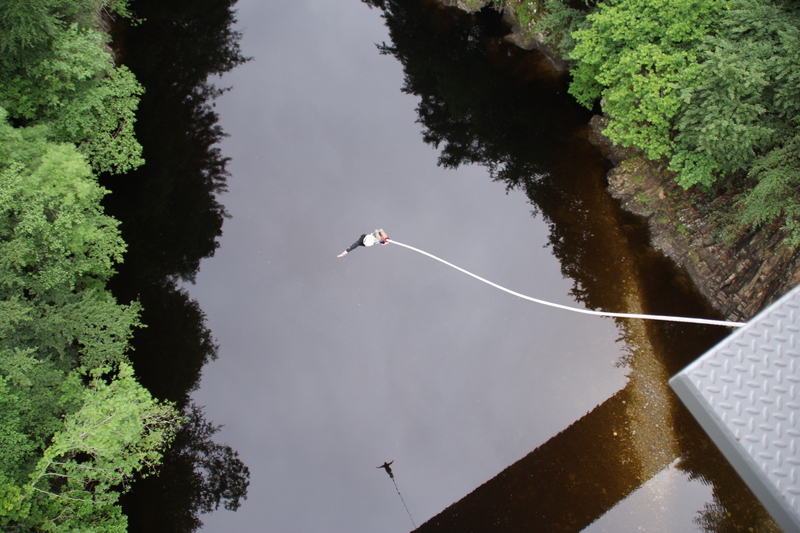 Highland Fling Bungee is the UK’s only permanent bridge bungee jump. 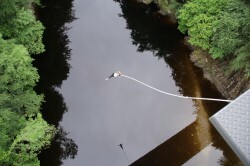 Jumpers plunge 40 metres at 50mph towards a famous Scottish salmon river, the river Garry, before recoiling on elasticated bungee cords. 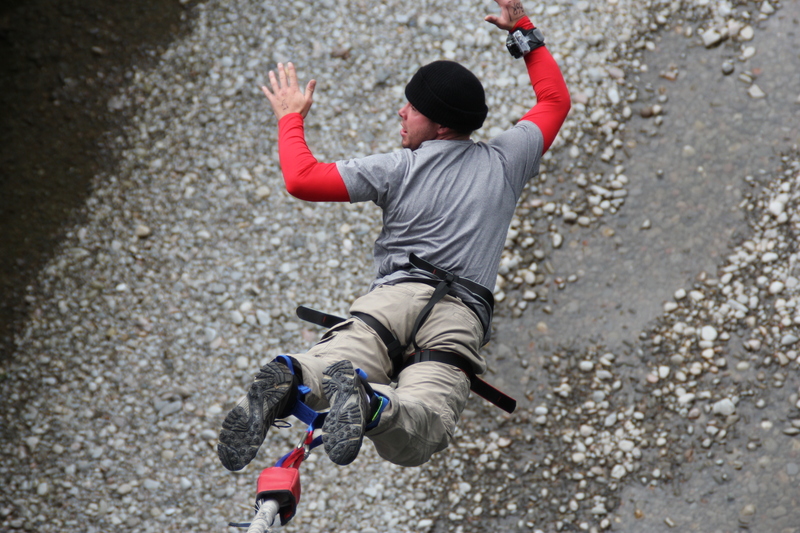 Over 15 000 people from 5 continents have jumped from Highland Fling Bungee’s platform at Killiecrankie since it opened in May 2011. The location is regarded as one of the most iconic in Scotland and is fringed by ancient trees, water and majestic mountains. The specially designed bungee platform or ‘pod’ is erected to the underside of Garry Bridge near the picturesque Scottish town of Pitlochry. It took Directors four years to push the project through the local government planning process because it had never been done before in Scotland or the UK. Earlier this year, widowed former serviceman Bob Steele became the oldest bungee jumper in Europe when he jumped from Highland Fling Bungee’s platform at Killiecrankie. 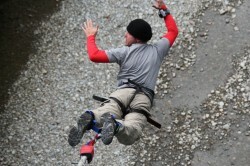 Highland Fling Bungee pioneered Europe’s first night time ‘black-out’ bungee jumps in winter 2011. Highland Fling Bungee also operates a seasonal urban bungee jump at the A-listed Titan Crane in Clydebank, Glasgow- now designated an International Historic Civil and Mechanical Engineering Landmark.